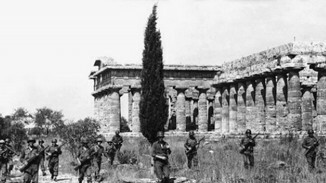 Paestum is a city rich in history, in 1943, Paestum was the protagonist of the operation Avalanche, an operation of amphibious landing carried out by the Allies. 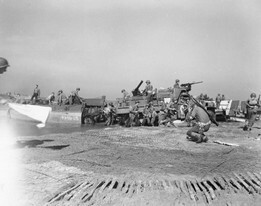 The operation took place at night, between 8 and 9 September, the Allies hoped to find a desolate beach and no enemy, but the Germans had not withdrawn after the armistice. In fact, the landing proved to be more difficult than expected. Germans were ready for defense, had undermined the ground and created outposts to repel their enemies. 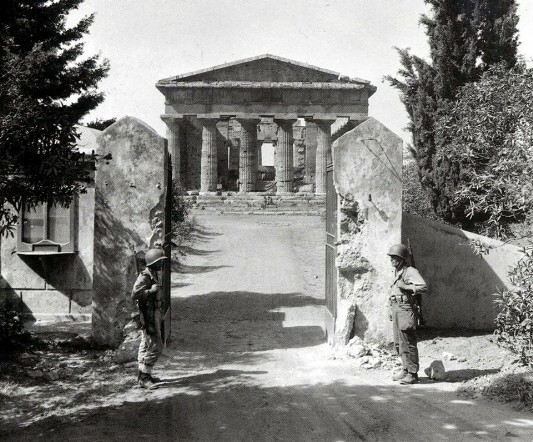 In fact the first wave of Major General Fred Walker's U.S. 36th Infantry Division (Texas) approached the Paestum shore at 03:30 a loudspeaker from the landing area proclaimed in English: "Come on in and give up. We have you covered." The Allied troops attacked nonetheless. 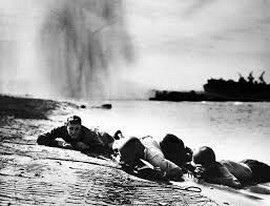 The landing was not an easy task, the allies were greeted with machine guns, mortar shells and the firepower of some pieces of the fearsome 88 mm FlaK. 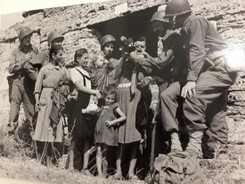 Germans were stationed between the walls of Paestum and had a strategic outpost with Flak 88m on Mount Soprano, a mountain that rises in Capaccio town hall. The Allies slowly advanced and the Germans retreat to the Cilento hills. -During the construction of a runway, in 1944, the Anglo-American allies discovered the necropolis of Gaudo, a settlement dating back to the Paleolithic. - In recent years, a German bunker has been brought to light on the Paestum beaches in the seaside resort. - Despite the birth of chewing gum dates back to 1869, until the '40s of the' 900 this article was virtually unknown in Europe, and arrived for the first time with American soldiers. - Besides the chewing gum the Americans introduced the Jazz. - The elders of the place are very friendly, in fact you can come across some elder who will tell you his experience and will also offer you coffee in their houses. Medal of Honor is a World War II first-person shooter video game, developed by EA Los Angeles. 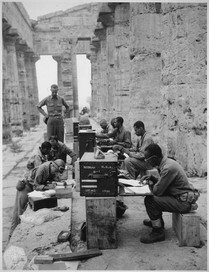 In the second chapter, Travers will be parachuted with the rest of the airborne in the ruins of Paestum, near Salerno. Engaged against the German infantry, the airborne must destroy radio contacts and enemy supplies.